It's that time of the month again, time for another update on Sadie and Sammy. 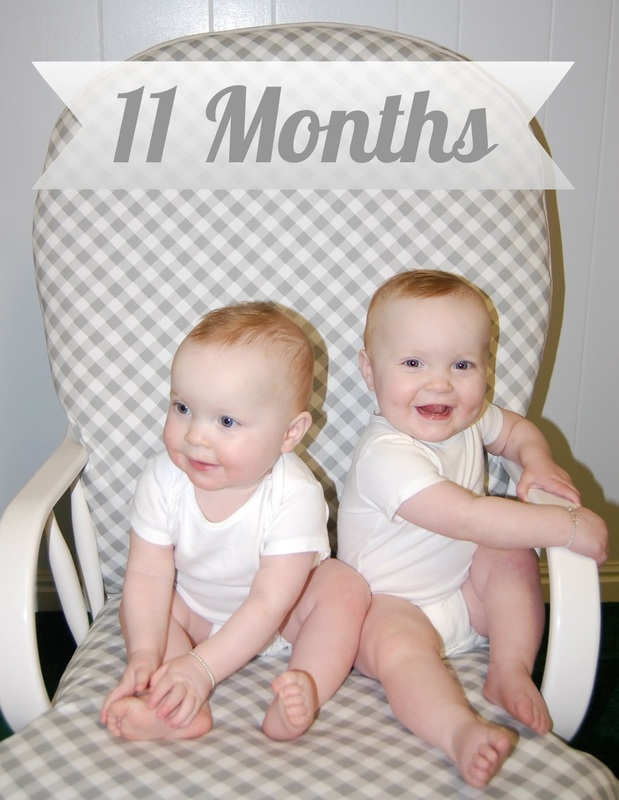 My sweet babies are 11 months old! Both girls are really close to walking, like playing peekaboo and are still taking two naps a day. They love their daddy and cry most mornings when he leaves for work. Sadie and Sammy think Brody is about the funniest person they know. 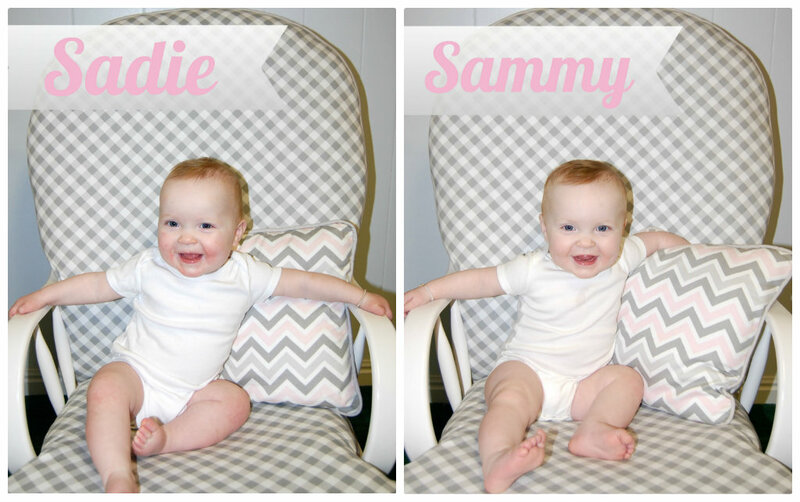 Your twins are absolutely adorable! How fun will it be once they're walking? !